Do you need professional plumbing services for your Denver, CO or Westminster, CO home or business? Has that slow drip finally gotten on your last nerve? Or are those sluggish drains driving you absolutely crazy? Call Best Plumbing of Denver at (720) 363-2907 for prompt, professional service from our skilled team of plumbers! We’ve been around since 1989, providing excellent customer service and quality workmanship throughout the Denver Metro Area. We tackle plumbing jobs big and small, and have the expertise to handle everything from leaky faucets and replacing toilets to repairing underground leaks and excavating water and sewer lines. 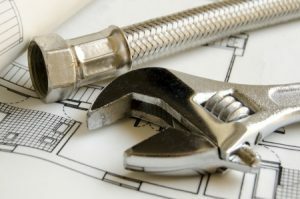 Call us today to schedule plumbing repair for your Denver, CO or Westminster, CO home or business! Living in the beautiful Denver, CO area can present unique conditions for plumbing components and lines. We fully realize that no homeowner is excited to have to call us, but you can reach out knowing that we are well-versed in the conditions of our area and how to properly repair and install plumbing components to hold up during the warmest or coldest of temperatures. Common leaks and drips around the house can often be fixed quickly and easily, so don’t mess with buckets, towels, or tape when a permanent, solid repair is just a phone call away. But what if you’re looking at more extensive repairs for a slab leak or yard leak? Do visions of giant trenches and a destroyed front lawn leave you overwhelmed and putting off the inevitable? We understand, but know you’re in good hands with Best Plumbing of Denver! We have vast experience working on large-scale water and sewer excavation projects, and repair even the most stubborn and complicated pipes and lines. We can also do camera locating and trenchless excavation to repair underground leaks, so we have options to consider when it comes to properly addressing issues facing your home or commercial property. When you need a professional plumber, you don’t want to wait. Call us at (720) 363-2907 for prompt, courteous service, and let our Master Plumber oversee plumbing repairs to your home or business. Whether they’re big or small, common or complex, repairs are our specialty. We look forward to serving you in Denver, CO and Westminster, CO for plumbing repair and replacement!